This week Charlie has taken on a piece of work which will involve running a live exercise. He shares his thoughts and questions on possible scenarios, and asks for advice from those of you that have run many of these type of live exercises. I have been in London this week, delivering the BCI Introduction to Business Continuity Management course to a great bunch of people, including Alain who is the very first person I have trained from the Congo! Post training, I did a tour of London, speaking to a number of companies about various business continuity activities that they would like help with. One of the companies was a manufacturer who would like to conduct a live exercise rather than a desktop exercise that they have previously done. We don’t get to do many live exercises so I thought I would share some of my thoughts and see if any of you out there might be able give me some advice on planning and executing one! So, getting back to the manufacturer, they have done a desktop exercise in the past but felt that it didn’t really stretch them or cover the type of risks that they were worried about. Desktop exercises are good at testing business continuity plans and some of the short, medium, and long term elements of a plan. As they are part of a wider group, their business continuity plan for loss of production is to ship production in from France, who make the same products as them. Therefore, managing an incident which causes downtime at their plant wouldn’t be very stretching. 1. I want to make a mock up of the scene of the incident so they can deal with some actual casualties and practice their first aid. I think back to my army days, where to facilitate low level training, we were always mocking up small scenarios and getting soldiers to deal with the situation. I don’t think you need too many props; some work clothes, a couple of people to role-play the injured, and perhaps some equipment which could be the source of the incident. A bit of tomato sauce or red wine can add some realism, and there you have the start of your scenario. 2. The danger here is that you will need to have some ongoing impact of the scenario otherwise your exercise will be very short lived. Once you have delivered first aid and stabilised the situation, the ambulance will take away the injured and your exercise is complete. Dealing with contractors who are caught up in the incident. What are our responsibilities to them and do you deal with the incident jointly? English is not the first language of many of the delivery drivers, so how do you deal with them and their welfare issues? If the incident had any offsite affect on neighbours, how do they deal with this, and perhaps statutory agencies such as the Environment Agency? 4. I suspect I may be struggling to get the emergency services involved in the incident (for free), but I need to think through how to play them as they have a major role in managing the response. At a simplistic level, I have in the past, purchased a fire and police person's hat from a fancy dress shop, and had a role-player turn up wearing the hat depending on which emergency service had been called. 5. One of the things I am very aware of is health and safety, as we need to be very careful not to cause an accident during our exercise and end up having to deal with a real incident! As I said at the beginning, I haven’t done that many of these so any advice is appreciated. 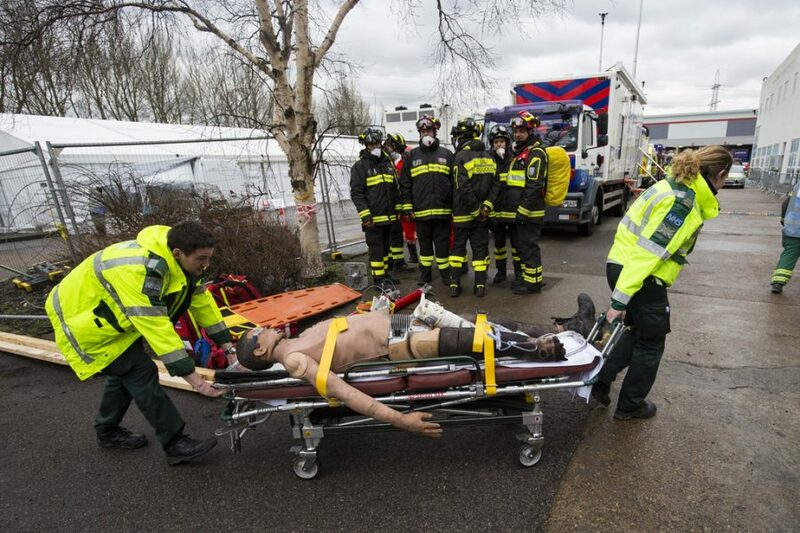 I think if you are going to run a live exercise, one of the things you have a think through is, what is the training and learning value of dealing with a casualty onsite and bandaging them up, as opposed to just being told there is a casualty? When we do the actual exercise I will share any learning points!